New to Time Clickers? Struggling to progress or wanting to optimize? This is the guide for you! You'll learn game fundamentals like how to choose which weapon to level up when, how to know when you should restart your run, and how to make the best use of your skills. This guide is not just about what to do when--it's about showing you how best to decide that for yourself. Have you just started playing Time Clickers? Do you have no idea what you're doing? Then this is the place for you! Time Clickers is an idle game among many, with similarities to many other clicker games you may have played (skills you can unlock, idle mode, and progression through restarting, to name a few). 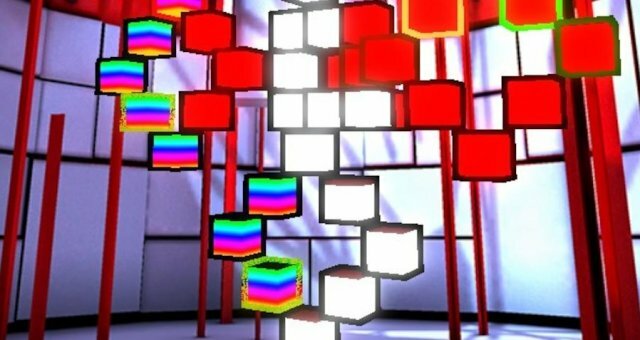 It also has some interesting twists that distinguish it from being 'just another idle game': a substantial 'skill tree' (the Artifacts system, though I'm not sure why it's called that...) for you to spend your time cubes on to improve future runs. In addition to these unlockable bonuses, each time cube increases your team DPS by 10% even after you spend it. That may not sound like much, but it adds up significantly, especially once you're getting thousands of time cubes per run (it's closer than you think!). Get money, spend it on upgrades, get to a higher level, get more money, etc. At the appropriate time (more on this later! ), use Time Warp to end your run. Spend time cubes (weapon cubes, later) to upgrade things. When I started playing, there were two big things I wondered about--how do I know which weapon I should spend my money to upgrade, and how do I know when I should restart a run? Learning to answer both of these questions made a big difference in improving my progress. So let's do that! Okay, So When Do I...... Use Skills? Let's talk about the things you'll need to think about while you play. Eventually, these can become second nature--don't worry about getting everything right on your first, second, or fifth run. As you spend money to upgrade your click pistol, you'll also be able to unlock skills you can use by pressing the number keys or activating them all at once with the spacebar. The role these skills play in your initial run or two is quite a bit different from the way you'll use them in most runs. If this is your first run, possibly your second, you'll want to unlock your first three abilities as quickly as possible while still upgrading your weapons somewhat (more on that later). This will also depend on how actively you want to play the game. On your first run, you can speed things up a fair bit by clicking yourself. All skills (for now) have a duration of 30 seconds. The cooldown starts *after* those 30 seconds are over. Your first skill, Automatic Fire, fires automatically (weird, right?) 10 times per second with a cooldown of one minute. Your second skill, Spread Shots, fires additional projectiles and has a cooldown of three minutes. These are best used together--you'll be autofiring a lot and hitting multilple boxes with each shot. So, you hit 1 and 2 at the same time. 30 seconds later, they will both be on cooldown. 1 minute later, 1 will be ready to use again, and 2 will have 2 minutes of cooldown left. If you hit Automatic Fire (1) again, it has time to be used for 30 seconds *and* finish its 1 minute cooldown before Spread Shots (2) is ready. So it's okay to use Automatic Fire now, since you can still use them both together next time. On the other hand, if Spread Shots (2) only has 20 seconds left until it's ready, it's not good to use Automatic Fire yet; it will be one and a half minutes before you can use it again, so either you don't get to use it with Spread Shots or you have to wait another 90 seconds to use them together. That's clearly worse than just waiting the 20 seconds up front. These principles apply to combining more skills; check all the cooldowns, figure out which skills will be ready for combos soon, and use whatever skills can refresh in time for those combos. Maximum Damage Mode - Free Skills! The most important thing about skills, however, is the fact that you get 15 seconds of (almost) all skills for FREE after you kill a boss or mini-boss. Since your first run will be pretty slow, those will not last you very long. Because of this, upgrading skills with Time Cubes is not very useful early on compared to upgrading the damage your weapons do. However, in future runs those 15 seconds will carry you all the way to the next boss over and over. (It's half of your skill duration, actually, so if you've upgraded your skill duration to 40 seconds, you'll get 20 seconds of Maximum Damage instead of 15.) In fact, most of the skills with a 30- or 60-minute cooldown will be used much more by killing bosses than by actually activating those skills. Put your gun on idle mode, purchase weapon upgrades when possible, and cruise your way on up to the interesting stuff. So When Do I...... Upgrade Weapons? You bought your click pistol and clicked on things. Then the game told you to buy your pulse pistol, get it to level 10, get that first orange upgrade, so you did. Then it told you to buy the other guns. So you did. Now how the hell do you know what to buy? The game stopped telling you! There are two ways to upgrade a weapon's DPS: buying more levels on the weapon, and buying an upgrade and/or promotion (a special upgrade you can get every 100 levels). The most obvious step--buying levels--increases exponentially in cost. That means that going from, say, level 50 to level 75 will cost x, going from 75 to 100 will cost quite a bit more than x, and going from 1000 to 1025 will cost a LOT more than x. That is, the higher level your weapon is, the more you will have to pay to improve its dps. The cost of going from 100 dps to 200 dps will be more than twice as much as it took to go from 0 dps to 100 dps. This is why you want to spread out levels over all of your weapons. Also, the orange upgrades will upgrade your dps by VERY large amounts. The first upgrade, at level 10 for every weapon, DOUBLES your dps by doubling your rate of fire. Subsequent upgrades behave similarly, though every weapon has a 'special' upgrade that does something different (usually at level 50). Because of this, getting your first weapon to level 50 and your second weapon to level 25 both does more damage AND costs less money than getting your first weapon to 75 or higher. Now, let's talk about the different ways you can decide what to buy when. Very important note: Things change at (weapon) level 500, and even more so at 1000. Every thousand levels your weapon advances to a Spec Ops level. You may have noticed the achievements for these. Additionally, the five hundred levels leading up to each Spec Ops are 'training,' where there's only an upgrade every hundred levels. We'll talk about these, but unless I specifically mention Spec Ops, we're talking about the first 500 levels.This reasoning applies again between Spec Ops training: levels 1001 - 1500 act the same way upgrades-wise as level 1 - 500. The Simple Way - Which Number Is Bigger? First things first--you probably need to change how you're buying your weapon upgrades. There's a square button in the lower-left corner of your screen that can say x1, xU, xP, or Max. Almost all of the time, you want this to be set to xU (buy until the next upgrade). Because upgrades are very powerful for their cost, getting to and purchasing the next upgrade for one gun will almost always be a bigger dps upgrade than spending the same amount of money buying extra levels on the gun before it. Mousing over the level up button for a weapon will tell you how much the dps will be after you buy those level(s). Note that when xU is set, this does NOT include the cost of the upgrade that comes after those levels; that's a separate cost which you can see by mousing over the grey icon underneath your level. Also note that the number shown is NOT your dps increase--it's your total dps from that weapon. To get the increase, which is what you need to figure out what gets you the most dps increase for the money, subtract your current weapon dps, which is in the upper right corner of your weapon window. Upgrades need to be factored into this. In general, the earlier an upgrade is, the more of an improvement it is. Prioritizing the level 10 and 25 upgrades is very important, and going up to the level 50 upgrade is usually still best to do before you start working on the next gun down. Once you know the DPS increase, you can compare it to the other dps increases and prices on other weapons. As long as the amount of money you're spending is about the same on two, the number of levels you're getting on those two doesn't matter. Only the damage output. I said it was simple; I didn't say it was easy. You'll get better at the mental math as you go, and it's good for you anyways. Hi! I'm Sayya, because no one wants to say SayyadinaAtreides over and over. I've binged TC lately and I make spreadsheets for fun. I do the math so you don't have to! Upgrades 10-25 > upgrade 50 >> later upgrades. Do not promote a weapon until the one before it is level 30-50, ideally 50 with upgrade. Unless you're starting at the beginning with a lot of extra gold, always buy with xU, not xP. Don't go crazy after clicking a rainbow ball--stick to the plan! See, that's not too hard to remember! Let's see the details. Early Upgrades Matter Most: when not in Spec Ops training, you get an upgrade at level 10 that straight-up doubles your dps by doubling your rate of fire. This is crazy. The next upgrade, at level 25, is usually another x2 increase to your fire rate. Note that this does NOT double your dps again--it's not the first x2 times the second x2 for x4 fire rate. It's the extra fire rate that you add--x2 is one extra, another x2 is one extra, so we have 2 extra, which is x3. However, it's still a 50% dps increase, which is big. You pay more for the next levels and, like the lvl 25 upgrade was a smaller increase than the level 10 increase, later upgrades are less effective. Levels 30-50 and Why We Care: This is one of the places where Spec Ops training makes a difference in our thinking. For the first 500 levels of each Spec Ops level, you get several upgrades per promotion. For the next 500 levels, there are no upgrades between the promotions every hundred levels. Upgrades make levels more valuable. Additionally, the upgrade that most weapons get at level 50 includes a special boost (extra projectiles etc.) which can be quite helpful. In Spec Ops training, the lack of upgrades make levels less efficient in general. Because of this, I will promote a gun (that is, level it to the next level divisible by 100 and activate the pretty green upgrade) in non-Spec Ops training when the one before it has reached level 50 and has that upgrade. Until that point, the money it takes to level at promote the later gun is better spent on improving the previous one. However, when my weapons are in Spec Ops training, I get more lax and level each weapon when the previous one is at 30-40 depending on how bored I am. TL;DR: You should only promote a weapon when you can purchase the level 10 upgrade immediately, and the level 25 upgrade extremely soon. This tends to be most efficient when the previous weapon is at level 50, or 30-40 in Spec Ops. xU vs xP -- Don't Get Greedy: Using xU to buy levels instead of xP has a couple of advantages most of the time. Using xP is fine if you absolutely know that you want to promote a weapon multiple times in a row, such as when you start with extra gold after a Time Warp. However, using xP will often spend money inefficiently if you aren't ready to promote--buying 80 levels on one weapon is worse for DPS than buying 50 levels on that weapon and promoting the weapon below it. Also, using xU makes it easier to compare relative dps increases by cost. Knowing how much 34 levels costs (all of your money) is less useful than knowing that level 10 and its upgrade are cheap compared to another weapon's 50 -> 75 levels and upgrade. Rainbow Danger: Rainbow balls give you a lot of gold--at least 5 minutes worth. If you can hit it with Gold Rush, that's twice to FOUR TIMES as much. It's tempting to use this to promote your biggest gun as much as possible, immediately. Be smart. Don't do that. So When Do I...... Time Warp and Restart? Here's the short answer: use this. I whipped this up because I was curious and bored, then made it a little prettier and put it on reddit. You can read the details here, along with some tips in the spreadsheet itself. Basically, you want to do a Time Warp when slogging along through your current run will get you time cubes more slowly than starting all (or most of) the way over. Because those time cubes give you extra team DPS and let you pick out cool bonuses from the tree, next time you will get to level 100, the first level that can drop time cubes, much more quickly. You could go from level 1-100 two, three, or more times in the time it took you to first get to level 100. Some levels are guaranteed to give you a significant amount of time cubes: 100, 250, 500, 1000 to start with (unless I forgot something). Because of this, you'll start by just getting to level 100 or 105 and restarting. Even after getting to level 100 gets a lot faster, getting to level 130 or 150 will take a long time, so it's really not worth trying to make it all the way to 250. When that does get faster, you can rush to 250 and restart. Important note: You do NOT have to kill the boss to get time cubes or weapon cubes. You only have to destroy the blue time cube and/or green weapon cube to collect those. Because of this, it's sometimes worth going through the next 5 levels a little more slowly instead of restarting, just to see if there's a time/weapon cube on the next boss. However, it's realllly easy to fall into the trap of doing this over and over until you're wasting a lot more time than the chance of a few last cubes is worth. The game has estimates of your overall time cubes (TC) or weapon cubes (WC) per hour, as well as your current cubes/hour rates (i.e. a local average). However, the latter is calculated really badly, so it's really bad for decision making. My spreadsheet provides a measurement (simple moving average based on the three most recent data points) which does a good job of this, so you can tell when you slow down in TC/WC rates and should consider Time Warping.